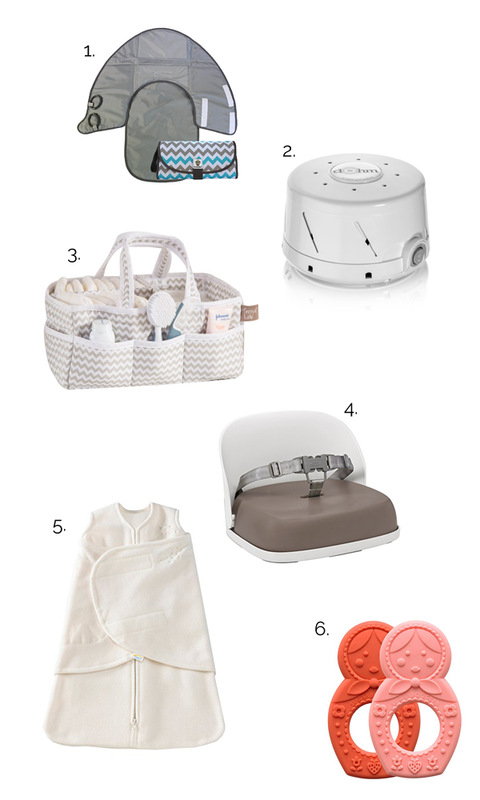 This baby gift guide has practical and fun gifts to purchase for any expecting mom or mother with an infant. This post contains affiliate links, which means I make a small commission if you purchase something I recommend. You guys! 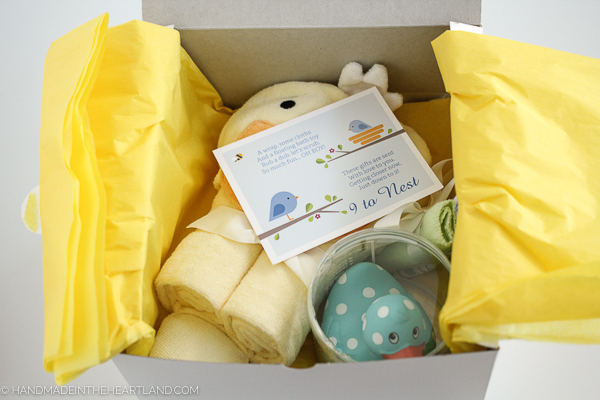 I was sent this darling box from 9 to Nest a baby gift subscription service that allows you to give an expectant mother a thoughtful and practical gift during her pregnancy! I love this idea and would have loved to have received this while I was pregnant! 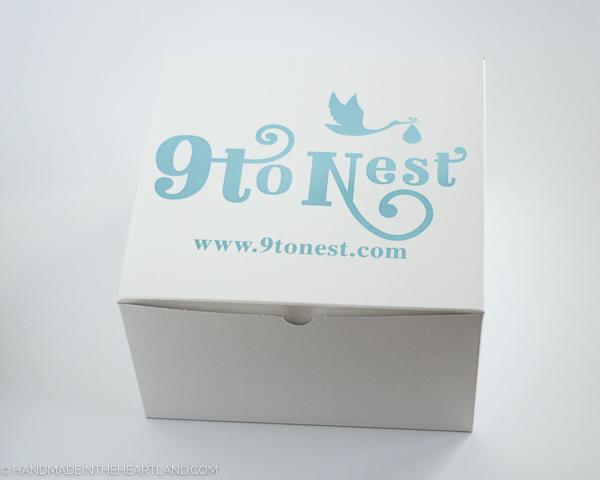 With 9 to nest you can choose to give a 3,4,5 or 6 month subscription gift to the mother-to-be. 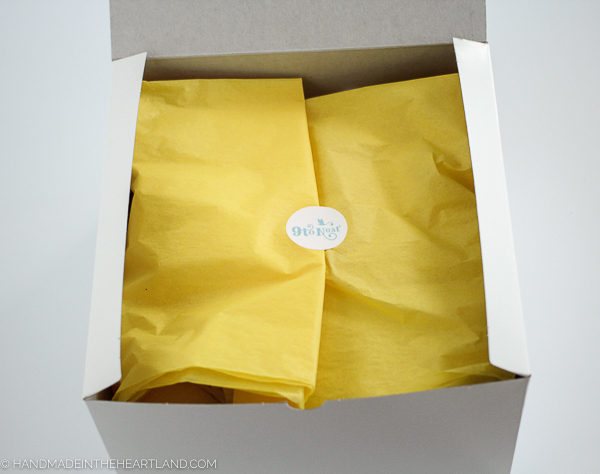 They will be sent a box that has an adorable and practical gift every month. 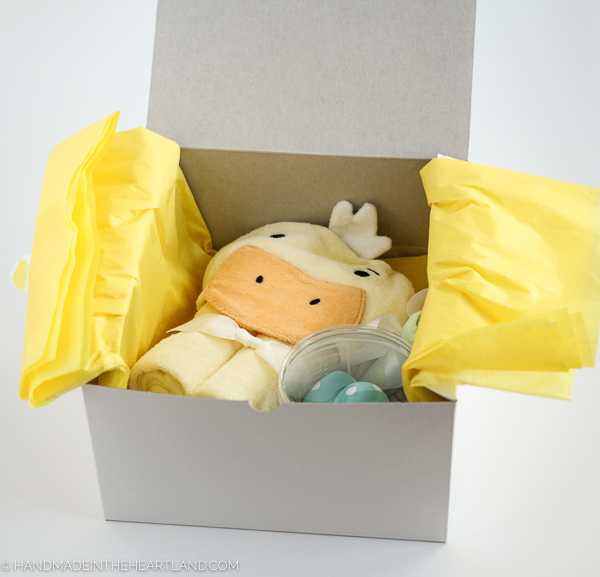 I received one of the boxes that you see in these photos and it had a fun hooded towel, a rubber duck bath toy and some wash cloths. So once you know who you want to send this fun gift subscription to head on over to 9 to Nest and send it their way, I’m sure they will love it! 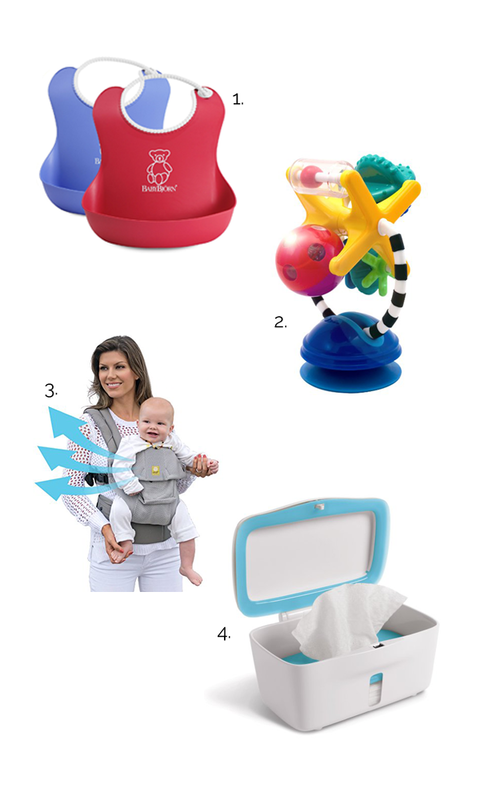 I thought I’d also give you a few of my favorite baby items. Being on child #3 I’ve learned a lot and realized that I don’t need half the crap I purchased or was given for the first baby. I don’t even carry a diaper bag anymore and I never did with baby #3. The items below are my tried and trues! 1. Baby Bjorn Bib The only bib you need. 4. Wipes Container A really cool wipes case. Ok I don’t have this one but it looks awesome! 1. SnoofyBee Changing Pad This changing pad will change your life. It has a cone shape that goes around the baby that prevents them from reaching down while you’re changing their diaper. Seriously I love it. 2. Sound Machine This sound machine is awesome. I’ve owned 2 other ones that have crapped out, this one has a real fan it and I’ve had friends and family that have had it for years. 3. Diaper Caddy A diaper caddy is a necessity for the living room. Love this one! 4. Booster Seat Booster seat for the kitchen table. So much easier to clean than a high chair and babies love to be with everyone else at the table. 5. Halo SleepSack My favorite sleeping swaddle blanket for newborns. 6. Silicone Teether Adorable silicone teething toys. I would LOVE to know what your favorite baby items are! What can you not live without?! I’d love to hear in the comments or tag me on Instagram (@handmadeintheheartland) or Facebook! Happy Shopping!